Michael Nyman's book is a first-hand account of experimental music from 1950 to 1970. 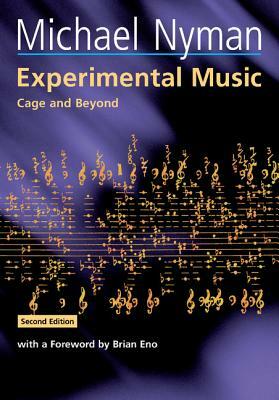 First published in 1974, it has remained the classic text on a significant form of music making and composing that developed alongside, and partly in opposition to, the postwar modernist tradition of composers such as Boulez, Berio, or Stockhausen. The experimentalist par excellence was John Cage whose legendary 4' 33'' consists of four minutes and thirty three seconds of silence to be performed on any instrument. Such pieces have a conceptual rather than purely musical starting point and radically challenge conventional notions of the musical work. Nyman's book traces the revolutionary attitudes that were developed toward concepts of time, space, sound, and composer/performer responsibility. It was within the experimental tradition that the seeds of musical minimalism were sown and the book contains reference to the early works of Reich, Riley, Young, and Glass. This second edition contains a new Foreword, an updated discography, and a historical overview by the author.